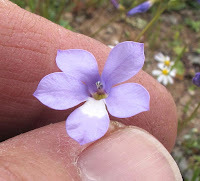 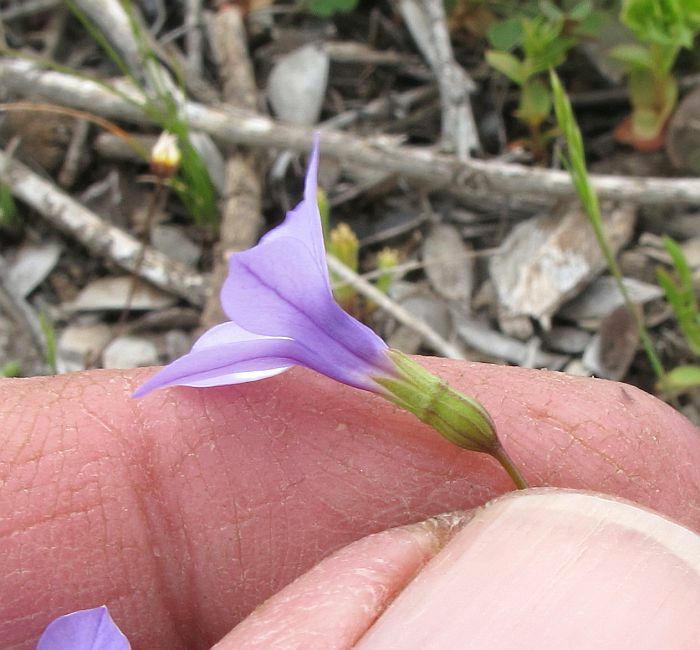 The genus Isotoma was previously located in the Lobeliaceae family, but has now been placed into Campanulaceae, or the Bellflower Family of which the Bluebell (Wahlenbergia) is best known. 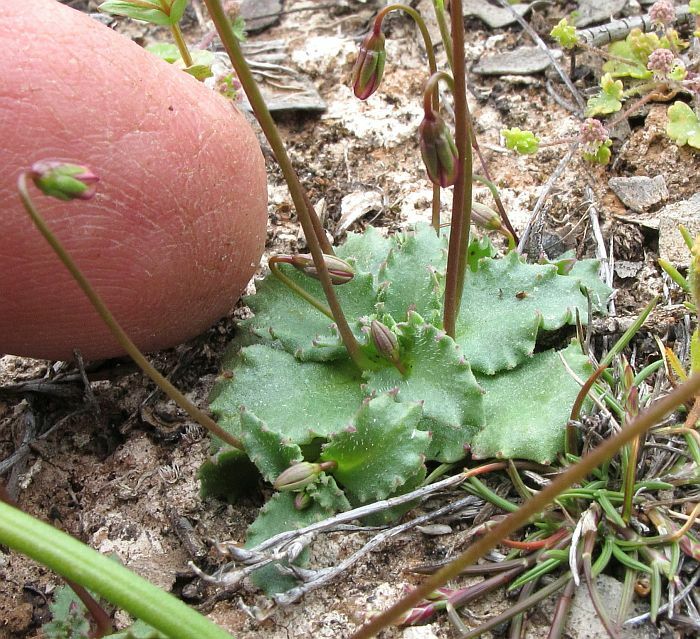 Despite the fragile appearance of Isotoma scapigera, it mainly grows inland and south of a line drawn from Geraldton to Israelite Bay, here its preference is saltlakes and saline depressions, where it is can be found in shallow sandy rises over the damp clay (saltlake) substrate. So a tough little plant with hidden strengths. 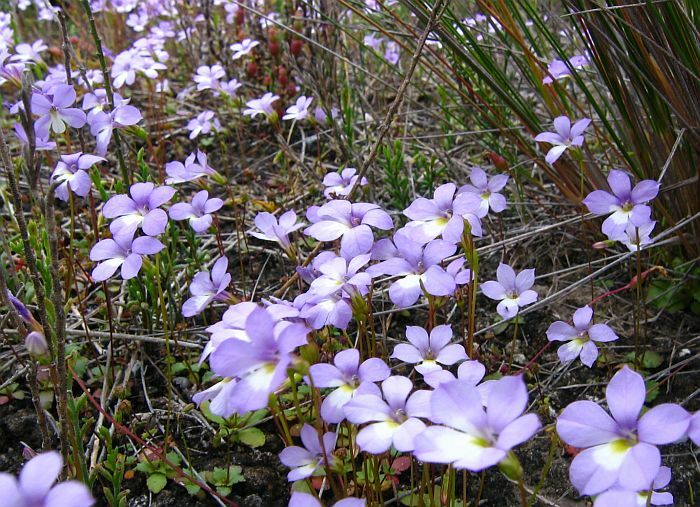 The Long-scaped Isotome is an annual species and can occur in dense, visually appealing clusters. 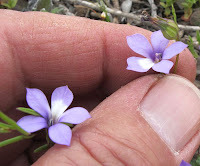 The purple/blue flowers are approximately 1.5 cm (5/8”) diameter and quite large considering the overall size of the plant. 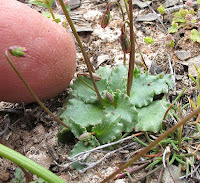 It is easily separated from other species, by the basal leaves, but leafless stems. 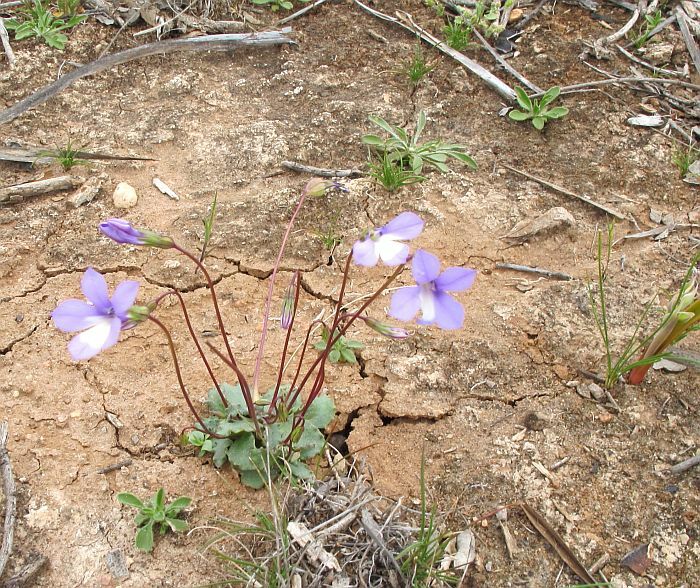 Flowering is recorded from September to December, but this would be dependent on reasonable rainfall.